Now I've sucsess to posted my pic. 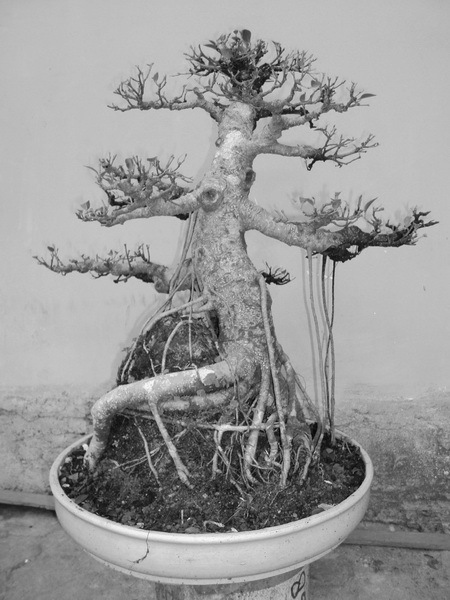 This is the first time I joint to this bonsai forum, I would like to show my Kengai ficus. 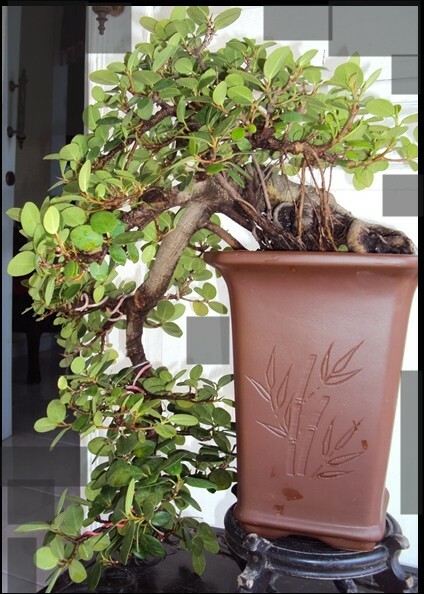 I got it two years ago from a friend, he planted in the plastic pot in some few years until its root reached ground deep enough. Its height about 2 metres. Your English is great. Thanks for posting. You can defoliate this tree for a better look at the structure. At this point I think you have too much foliage and too many branches. Thanks Billy for your idea, as I said before, I am still not satisfiend with this shape, so I need any idea, critique and comment from any person. In October last year I have prunned this tree, but here in tropical all plant become green so fast especially in rainy season like now. Actually its branches must be remove some in next few month. 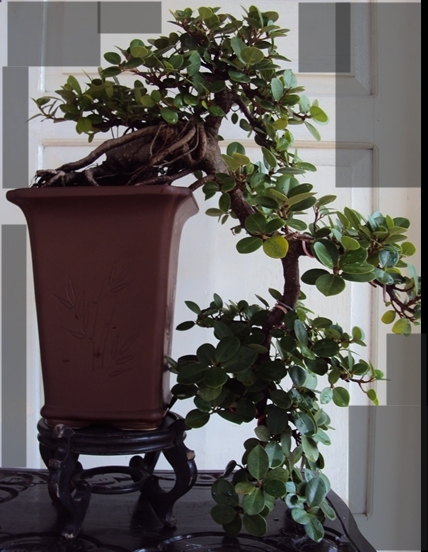 I think your Kengai Ficus isa nice looking tree. If you wire the lowest hanging branch to match the direction of the "One right above it" you would add more movement to the tree. You might need a more shallow pot for this though. I'll try to create an image for you. 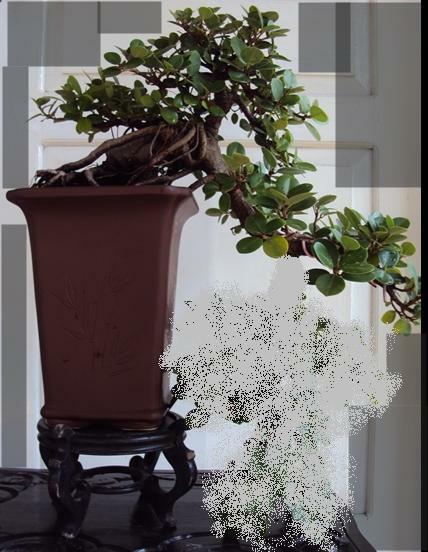 I created an image of a tree in a pot, but when I sent my message, the image did not work. Anyway, consider bending the lowest (large) branch towards the right; in the direction of the branch above it. My thoughts would be to eliminate the vertical cascade branch as it drops straight down and lacks movement. Good semi cascade. I also agree about the lowest part of the cascade branch being removed. This would also mean that it would need a shallower pot. I think this image looks more natural and pleasing. this branch use bigger size wire to achieve ideal shape. I honoured your idea too. Sure, I must consider very much before we remove that branch. Ooooh, it is very nice image. thank you very much friend. I very, very appriciate all your kindness such as comment, idea and advice to me. You could have a very nice cutting by taking off that lower branch. I would do this in late Spring or Summer.